Can the KitchenAid Pro Line handle hard dough and not bog down? How many pounds of flour can it manage? These are questions most often asked. There are still more than a dozen other concerns that people want answers to before they fork out their dollars. Questions that you may not even know about. Certainly, you, too, would want all your doubts cleared before plunging. Which is as it should be given that this kitchen machine costs more than what most people can afford. You will have to spend precious minutes online looking for the answers…and the questions others ask. In a hurry?…See the KitchenAid 7-quart Pro Line stand mixer now. ….we spent days digging for the answers. Plus, we added other must-knows we discovered. #1-What Is The Power Rating? 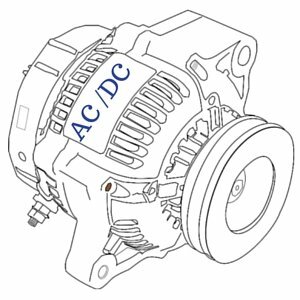 #2-Is It A DC or AC Motor? 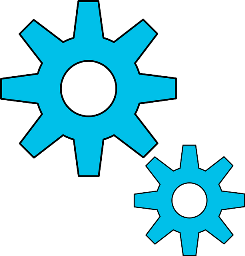 #3-Are the Gears All-Metal or Plastic? 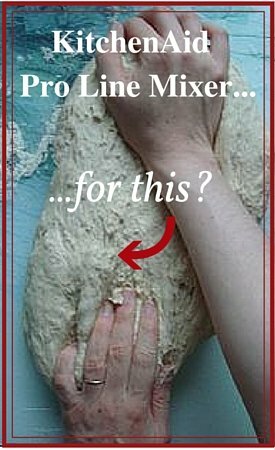 #4-Can The KitchenAid Pro Line Mixer Knead Really Tough Dough And Big Batches? #5-How Well Does It Work For Small Quantities? #6-Do You Need To Scrape Content? #7-Does It Walk, Wobble and Groan? #8-Is the Slow Start Slow Enough? #9-Is this A Bowl-Lift or A Tilt-Head? #10-What Is The Clicking Sound? #12-Will Attachments For Other KitchenAid Stand Mixers Fit the Pro Line? #13-How Tall And Heavy Is the KitchenAid Pro Line Series Mixer? #14-What Is The Difference Between the Pro Line Mixer And the Commercial KitchenAid Mixers? #15- What Is the Warranty of the Kitchenaid Pro Line 7-quart Bowl Lift Stand Mixer? Is the KitchenAid Pro Line 7-quart Stand Mixer For You? This has a robust 1.3 horsepower motor. But, before you get too engrossed on power, it’s best to point out now that torque is the more essential metric to pay attention to in powerful mixers. …it’s neither stated nor measured. You can only determine it from how it performs, or you can rely on feedback from other users. What is ‘torque’ anyway? And, why is it vital? It is the twisting force that causes objects to rotate. It is extremely important in big mixers designed to hold big volumes and move heavy mixtures like bread dough. In essence, much power in a mixer is useless if it does not translate to torque sufficient to move dense mixtures. A mixer with low torque will stall and groan with heavy load. If you have ever made bread, you may have noticed that after the initial mixing, dough becomes stiff and that’s where less capable mixers fail. …the KitchenAid ProLine stand mixer delivers the required torque for any tasks. Look there’s more to a mixer’s motor than just power..
Electrical motors are broadly classified as either DC or AC. Under this are other sub-classes. The only sub-class relevant to stand mixers is the drive type. DC motors are widely used in industries. It is excellent for tasks that require consistent speed. It runs smoothly because it does not strain under heavy load. It is quiet. None of those groaning or high pitch sounds. Direct drive motors transfers power to the bowl or ingredients more efficiently resulting in reduced power loss. Consequently, less power is required to finish a job. What is in it for you? Less power consumption equals savings on electric bills. It may not be much, because it depends on how often a stand mixer is used, but a little saved eventually adds up. Let me tell you most people aren’t aware of this. On the opposite end are belt-driven motors. They use-up more power. Before delving into stand mixers, I wondered why a certain brand’s 5-quart model has 1000 watts of power, whereas, KitchenAid’s 6-quart model only needs 575 watts. Answer: That 5-quart has a belt-driven motor while KitchenAid’s motor is direct drive. This is undoubtedly one of the questions that is most important to people. All gears in the Kitchen Aid Pro Line series are metal except for one piece which is plastic. Why? Short answer: as a protection. That plastic piece is meant to break when the machine gets overworked or if an object gets stuck in the paddle beater. How does that protect the mixer? Well, when it breaks, the motor stops before it turns toast. The plastic gear is a cheap piece which is easy to replace, while a burnt motor means you have to buy a new stand mixer. Not a pretty prospect for something that is worth hundreds of dollars. This mixer can deal with almost anything you throw at it with ease. Use it daily for big volumes of anything or for multiple recipes of different types of bread. Perfect if you’re like me who prefers making a week’s provision of bread at a time and freezing them. Or, if you like giving some to friends, you will love this hefty mixer. 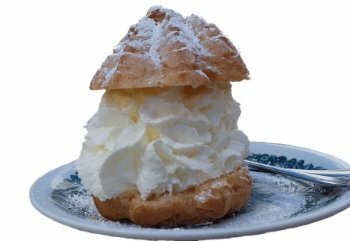 It can knead dough with different hydrations for extended periods and it won’t flinch. It will knead three, four and six loaves at a time for 10 plus minutes without groaning. Here is a sampling of what it does. This is not a complete list, but it gives you a sound idea of what to expect. Kneads a recipe of ciabatta for 10 minutes on Speed setting 2 without stalling. Kneads bagel dough, but set to very low speed. No problem making 4 loaves bread, 2 lbs per loaf. Makes a double batch of spaghetti with the pasta attachment at high speeds and it does not overheat. Just remember to only knead those tough and dense doughs at Speed 2 and you’re good. Wait. You will also mix small quantities and lighter mixtures, right? Beyond bread and pizza dough, this mixer also blends small quantities equally well. Whips 1 egg white to a beautiful meringue. Makes a small batch of dough using 250 g. (2 cups) flour with 175 ml. Water. You’ll get better results with small amounts. You have a small bowl to wash after whipping 1 or 2 egg whites. Imagine taking out then washing a 7-quart bowl for such a small amount. It can be a pain. You won’t have to transfer contents and keep washing the bowl for recipes where you have to blend ingredients in separate bowls. Saves you time. There will always be some scraping no matter what stand mixer you choose. The question is how often? To avoid it, we recommend the Flex-Edge beater which can be bought separately. It has a silicone scraper on one edge. This reduces mixing time and the flexible side scrapes ingredients from the side and into the bowl. But how does it behave when running? This is a another common concern because almost all stand mixers, with very few exceptions, shakes and complains when subjected to demanding tasks. The Kitchenaid Pro Line 7-quart bowl lift stand mixer KSM7586P does not do any of those. It is steady. No shaking or rattling or walking on the counter. No holding or restraining is needed. Despite its heft and power, it is quiet. You can even comfortably converse with your spouse or kids while it’s running. The mixer always starts slow even if you accidentally slide the lever to a higher Speed. Speeds 1 or 2 are slow enough for adding flour while it’s running. Those who own this mixer are happy that they have not experience clouds of flour even without the pouring shield. It is more stable because the head is fixed and the tendency for it to shake is greatly diminished. A big mixer may keel over if it were a tilt-head because of the weight of the motor. Read more about bowl-lift and tilt-head mechanisms here. Some owners hear a clicking noise from the mixer head. Others say it does not happen with their Pro Line mixers. Apparently, it occurs when the load is heavy, like bread dough. It does not happen with cake batters or egg whites or cream. One owner shared that he was informed by KitchenAid support that it’s normal if the sound is rythmic. If it’s not, grab a phone and call support. What is a rythmic sound? If it’s a click, then it should go ‘click, click, click’. 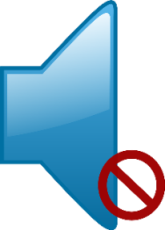 As an example, it should not go…click, click, clack, clackety, click, click click, clickety or something like that. Interestingly, one reviewer reported that his Pro Line rattled on initial use. He let it run until it’s done kneading the first batch of dough. He tried a second time, and, lo! It was quiet. Since then, he says he has made lots of bread and only hears a faint rythmic tick. If you ever hear a ‘clicking’ from the motor head, observe carefully. I suggest you call KitchenAid, tell them everything you observed and ask for a replacement. The mixer is protected by a 5-year replacement warranty. Within that period, a defective unit will most likely conk out. My suggestion is to use it frequently on difficult tasks to fully test it while the warranty is still in force. This question came up several times: Does it include a splatter guard? Yes, a pouring shield or splatter guard is included with the shipment. It is a very useful accessory. Adding flour without it is cumbersome and messy because some falls into the paddle, flies on your face and all over your counter. The best thing about a pouring shield? Not having to clean up a huge mess. What else are in the box? 1 pc. burnished Spiral dough hook. Are these the same as the beaters, whisk and dough of other KitchenAid stand mixers? No. They are differently designed for every model. Factors like bowl configuration, height and material are considered. Burnished beater and dough hook may oxidize. How to prevent it? …Never put in a dishwasher. Hand wash only and dry immediately. Turning cream and egg whites into fluffy frosting is 33% faster with the 11-wire whisk because it incorporates more air with every spin. The 7-quart polished stainless steel bowl has a handle and a rounded bottom. Benefits? A handle equals convenience. It provides better grip and control. Can you imagine pouring content from a bowl this big sans a handle? What if it’s full? Ouch! My wrist and hand would hurt. The round bottom promotes uniform mixing because batter or liquid is not trapped at the bottom. Except for the ice cream maker, all KitchenAid attachments fits all of its stand mixers. Any number of attachments can safely be used with the Pro Line because it has a robust and powerful motor. Imagine being able to make your own pasta, sausage, juice, jams and preserves, grind your grains, etc. You have control over what goes into your food and how it’s made. Sticking to a healthy eating regimen is easier if you prepare your food from scratch. You are assured what you and your family eat are fresh. As for the ice cream maker…there are two types. KAICA variant fits all models, the other is for KSM7 and KSM6573C only. KitchenAid easily beats other brands of stand mixers in versatility. 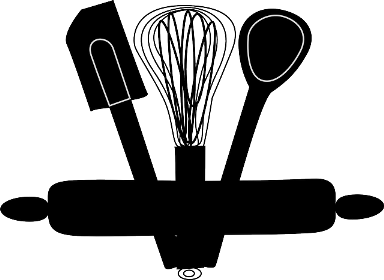 It is able to tackle more cooking and baking related tasks than the rest because it has the most attachments. It is approximately 17 inches high and weighs around 30 pounds. The great thing about a fixed-head/bowl lift mixer is you don’t have to worry about extra overhead space as is the case for tilt-heads. KitchenAid 7- and 8-quart Commercial stand mixers are certified by the NSF for commercial use. It has commercial grade electrical cord and plug. It also has a metal guard that sits on top of the bowl. Other than that, there is no real difference in features and performance. Are you considering using the Pro Line for a business? Be warned that warranty is voided if you use KitchenAid mixers classified for ‘home use’ for commercial purposes even if your business is home-based. The elecrtical cord of the Kitchenaid Pro Line 7 Quart Stand Mixer is approximately 50 inches long. KitchenAid is so confident with their mixer they backed it with a 5 -year warranty. That’s plenty of time to replace a defective unit. I’m pretty sure that if it is defective out of the factory, it will seize up before 5 years is over. And, I would surmise that during that period, it would have made lots of cookies, bread, cakes and frostings. Electronic Speed Sensor – Superior speed control by its DC motor is further enhanced by a built-in Speed Control system that recognizes changes in speed and adjusts them accordingly. Motor Protection – Shuts down the motor when it senses overloading even before the plastic gear breaks. In effect, providing double protection for the mixer. Our Pros and Cons summarize the answers to the most pressing questions about the 7-qt. Pro Line series stand mixer. See our list of top KitchenAid Stand Mixers. Clearly a big majority are satisfied buyers. The biggies for them? ….That it powers through the toughest dough. ….They can make any type of bread in large quantities. ….It behaves well…does not wobble or strain. The most pressing issue that a tiny minority encountered is the ‘clicking noise’ described previously. Thinking that all that heft and brawn does not come cheap? You’re in luck because it currently is going at a big discount on Amazon.com. Frosted Pearl White and Candy Apple Red are the cheapest. Sugar Pearl Silver is the most expensive. I’m sure by now you understand what this mixer is made for. Need a mixer for huge amounts of cake batters and frosting? 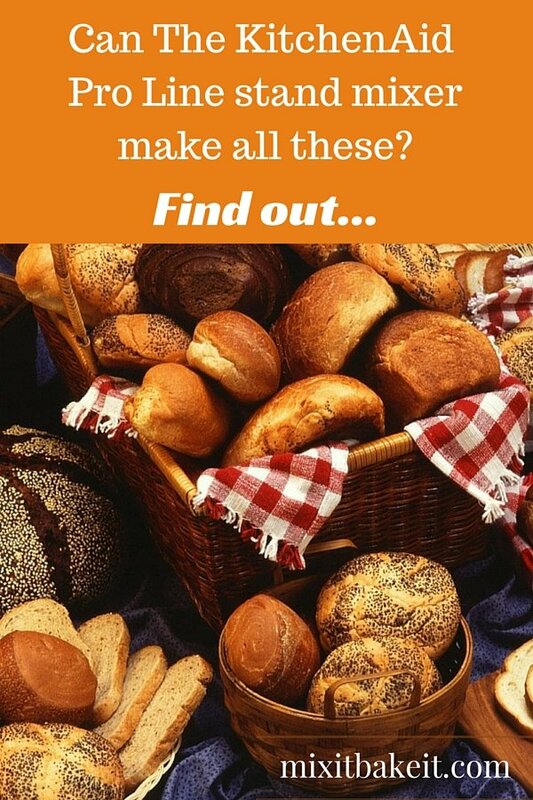 Do you see yourself making batches of breads in the future? ….This heavyweight stand mixer is for you. Want a stand mixer that does not groan, complain or throw a shaking-tantrum? ….You have found a match. can it make nut butter especially peanut butter? could you please email me the answer. One quick question: Are you sure the 3-qt (in particular) and 6-qt bowls are fitting the 7-qt one? I’m glad you find this helpful. I checked with KitchenAid and they said the smaller bowls are available for the Pro Line 7-quart. I updated the article and included their part numbers that KitchenAid provided. They are available on Amazon, too, and cheaper.